Boost your events and get the event app with event management built in. Ditch the binder and bring your next event together with eventScribe. Boost your events with the eventScribe App. React to on-site experiences in real-time. Access team members, make changes to the schedule, and assign tasks at the touch of a button. Call or text any attendee, speaker, or vendor, instantly. 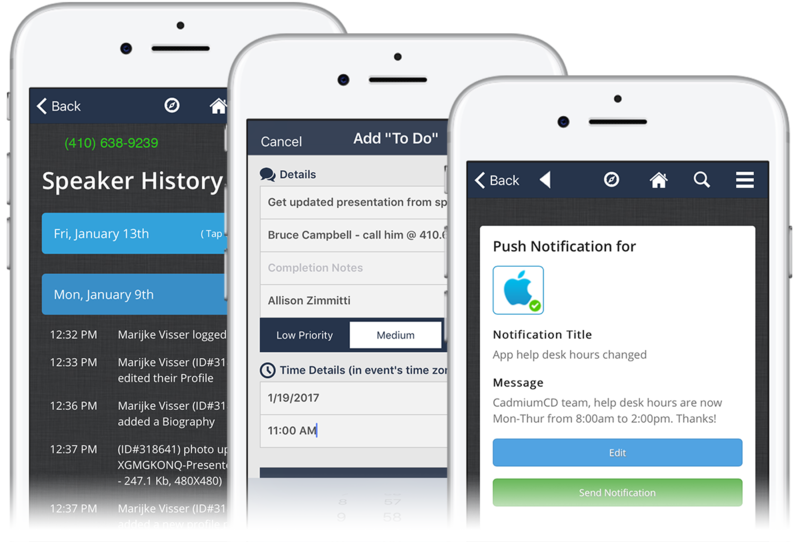 eventScribe Boost comes complete with a contact management system at your fingertips so you don't have to fumble to find the people you need to reach. Access notes, tear sheets, room setups, and other logistics details, all from your event app. Contact team members, vendors, and other stakeholders at the touch of a button. Create to-dos and prioritize tasks so your team can react to your conference's needs in real time. Bring your contacts online, communicate with your team instantly, and respond to the needs of your conference attendees. eventScribe Boost brings your conference management into the 21st century. 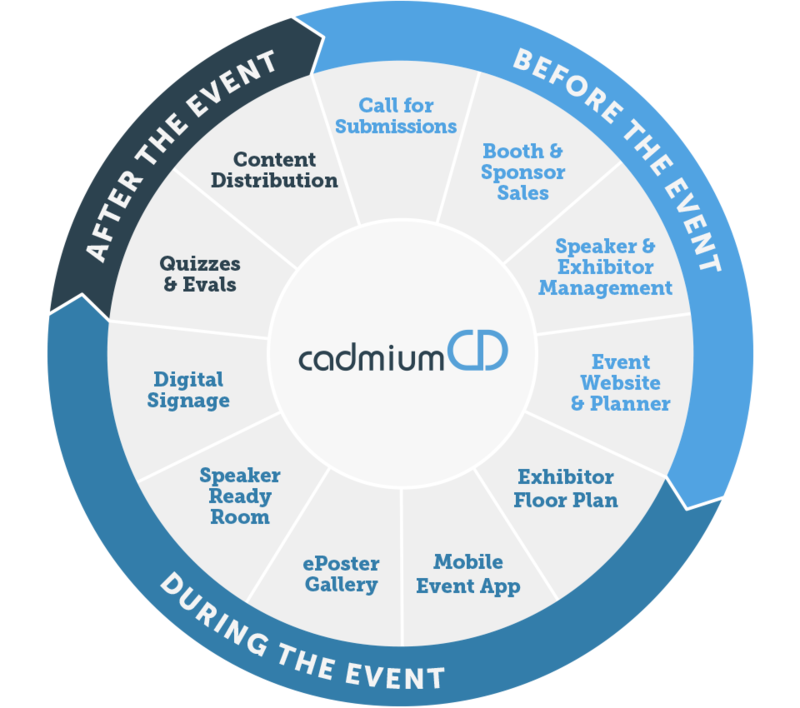 eventScribe Boost is just one part of the CadmiumCD platform. 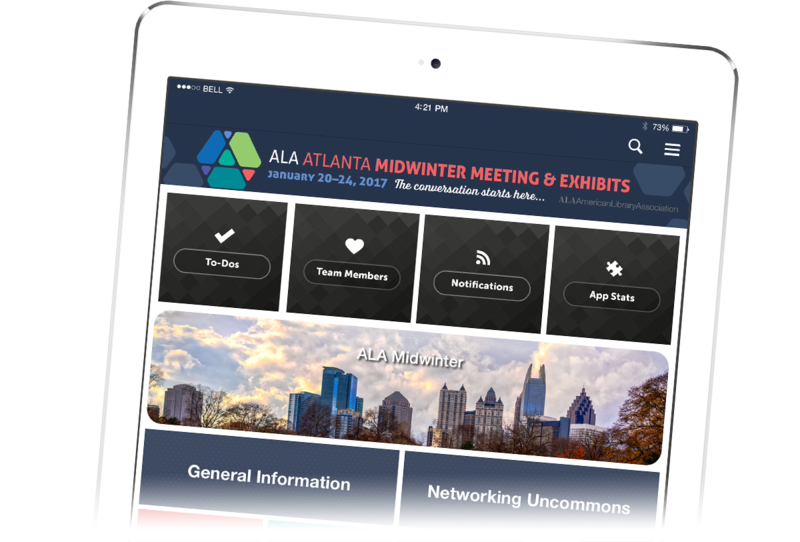 Collect and publish content, manage speakers & exhibitors, and engage attendees, all from a single system.